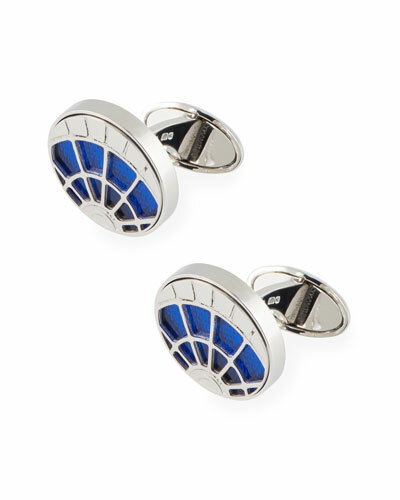 The Alfred Dunhill cuff links collection features an exquisite range of cuff links that bear testimony to the brand’s unmatched class. 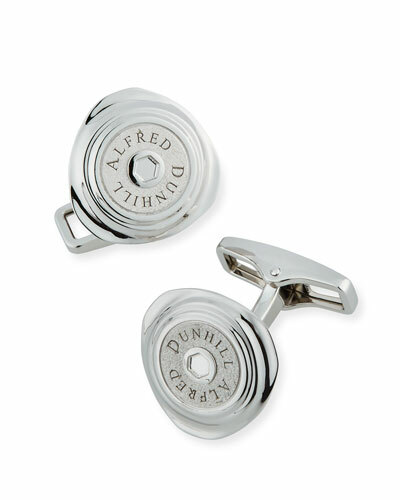 The founder’s penchant for creativity still drives the Alfred Dunhill line, and each offering from the brand is marked by excellence and innovation. 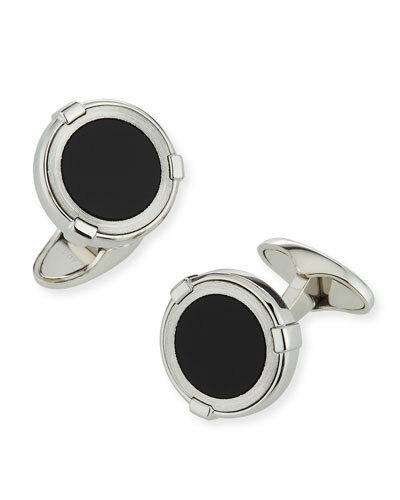 Masculine touches coupled with elegant finishes define the cuff links. 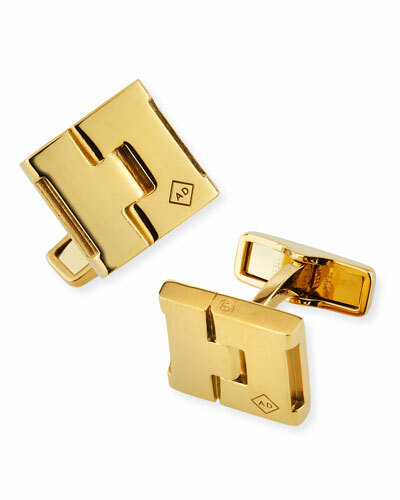 From gold plated, art deco, and car grille to button and thread styles, these pieces reflect timeless elegance. 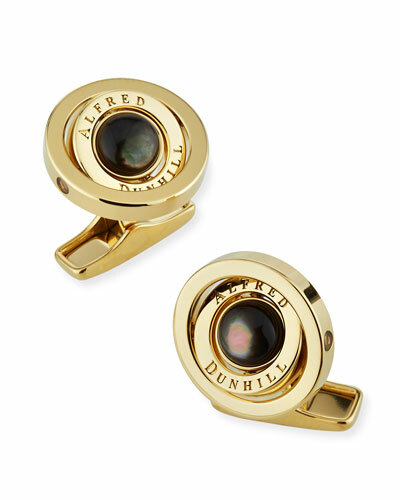 Shop Neiman Marcus’ colorful, rose gold, and more Alfred Dunhill cuff links in a variety of styles. 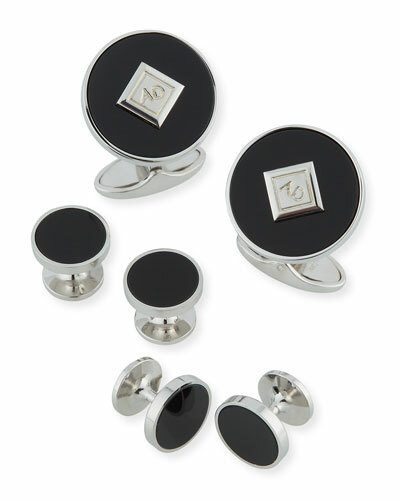 Cufflinks Inc. set of two cuff links and four shirt studs. Stainless steel with crystal pavé inlay. 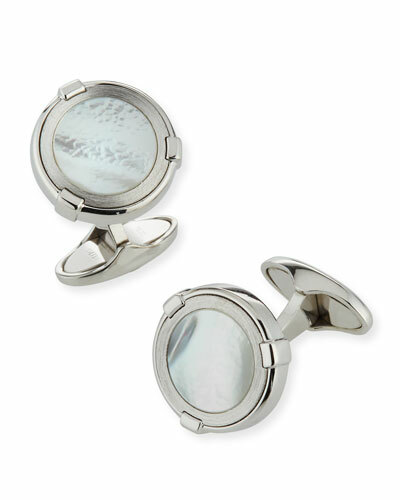 Cuff links, approx. 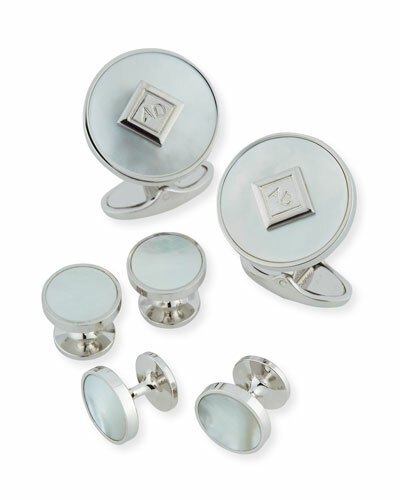 Cufflinks Inc. set of two cuff links and four shirt studs. 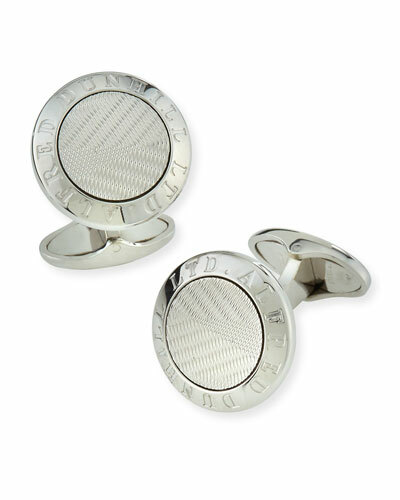 Stainless steel with crystal pavé inlay. 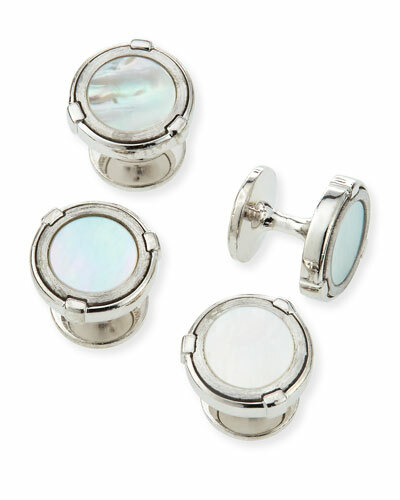 Cuff links, approx. 5/8" x 5/8". Studs, approx. 3/8" x 3/8". Logo swivel closure. Imported. 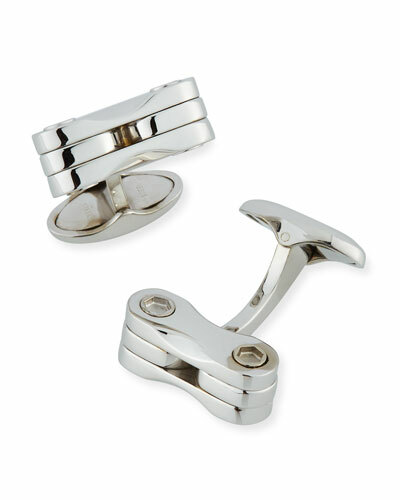 John Hardy round cuff links from the Classic Chain collection. 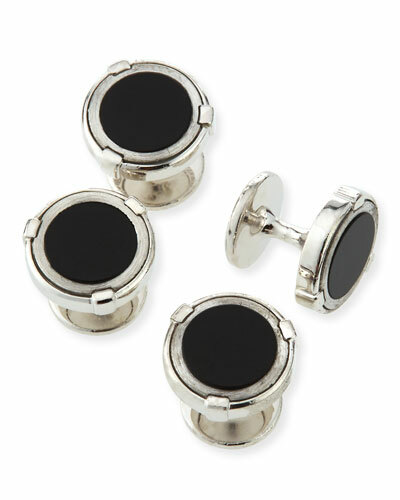 Set of two cuff links and four shirt studs. Silver.